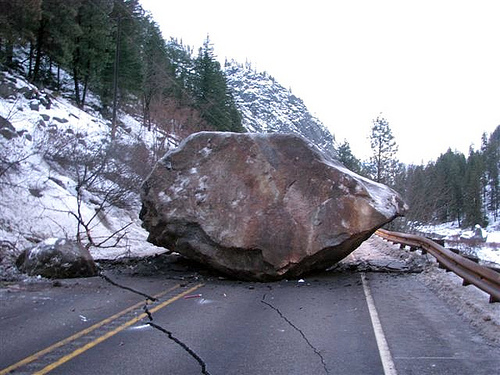 Sometimes the things that are weighing us down in our lives can feel pretty big. We feel pinned down by them, constantly burdened. It could be confusion over where our career is going; we could have financial worries; often it is family or relationship issues that cause restless nights; we can feel lonely and afraid. All that used to give us some joy has slipped away. At moments like these life seems to be sucked out of us, and we feel physically tired, unable to find real rest. We give up, not wanting to put ourselves in the position to be hurt again, or to grieve again, or to be frustrated and angered, humiliated, disappointed. One image used in the Christian liturgy today – that of the boulder blocking the tomb – captures well this sense of helplessness and despair. Sometimes we can feel like we are being slowly buried alive, spent and weary, trapped in our own “tombs” . We long for freedom, for a hint of new sense of life or hope to come to us through the seeming loss and rubble of our life. Sometimes we can find that when we make space and gain a new perspective outside the scene. At other times however, we need support – a word of encouragement, a friendly face, some “angel” to visit us, to reach down into our darkness and help us bear or overcome the load. We all have occasions to be that angel, in that we can all hold space for another, kinder, reality for another person. We simply have to be willing to add our fresh shoulder to someone else’s bruised one, and stand with them in their time of need. music, the pain of my bruised shoulders. Previous postWhat happens when we get blocked…. Next postA quiet day…taking time to rest ….